We, at H2O Solutions, believe that the success of an organization is based on the foundation of outstanding quality, excellent customer service and innovation. We have focused our expertise on the Designing , Engineering of fresh water / waste water treatment plants along with the air pollution control system to provide entire environmental pollution equipment under one roof. We are manufactures and exporters of RO plants, desalination, UF, MF plants and many more specialized plants for industries. 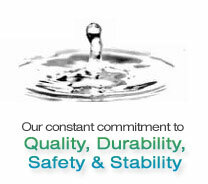 We produce containerized and truck mounted drinking and waste water treatment plant of world class standard. We have specialization on total zero discharge plant starting from rain water harvesting to process feed plant based on RO & UF , ETP, STP and boiler feed water system along with heat recovery from hot effluent. Further the hot discharge is applied various techniques like heat exchange multi effect evaporator and then almost 95% of feed water is attained.